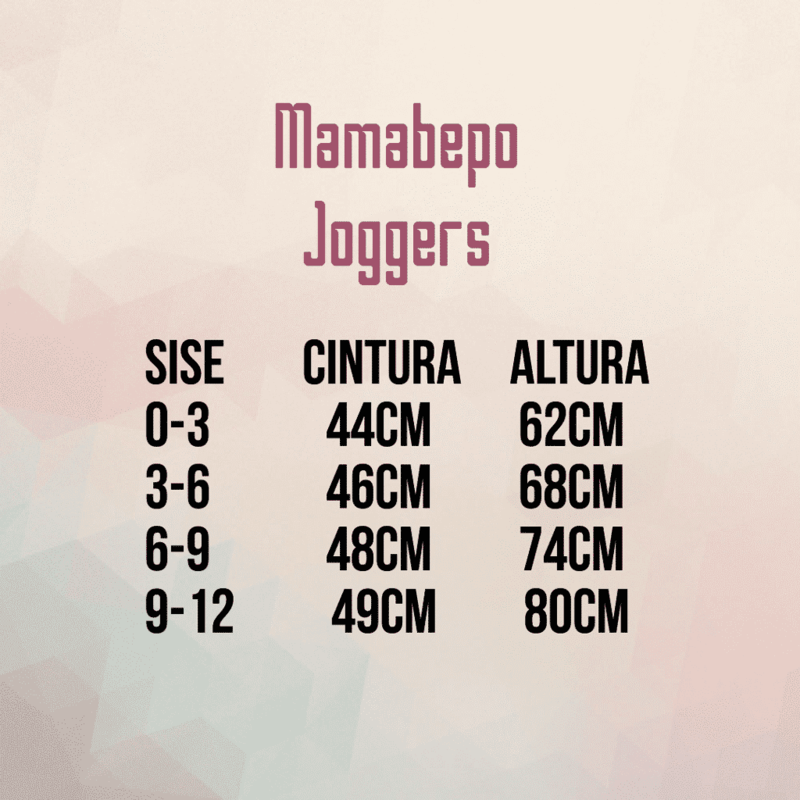 Joggers, wide pants or “cords” and elastics with which your child can play comfortably and also go to fashion. Size 0-3 does not have an ankle cuff. The photo corresponds to the large sizes. 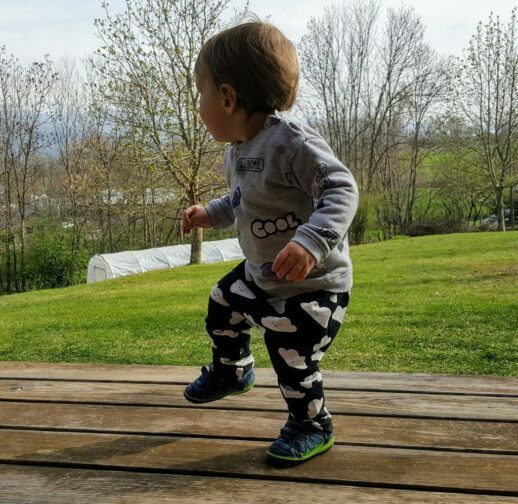 Baby pants joggers, super practical for your children. Joggers is a practical pants because it is wide and elastic, this will allow your child to crawl, play or walk comfortably without the pants depriving him of doing according to what position or movement. They are fresh, made with cotton linen and finite lycra. They only wear rubber at the waist. The only model that does not have a fist on the ankle is that of size 0-3 months, since we considered that for newborns it was not necessary. They are trousers for babies, designed for children from 0 to 2 years old. 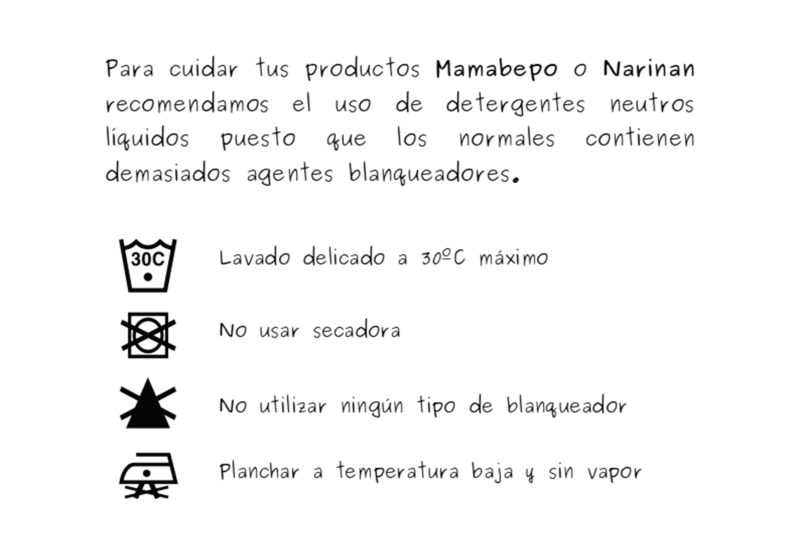 You can see how to wash them on the label you will find below. 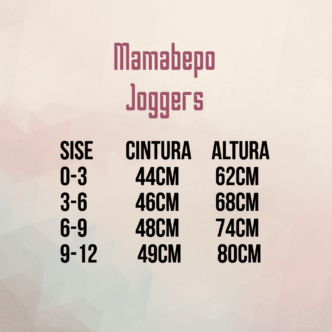 The joggers are durable, easy to clean and very natural to wear. The prints have been chosen according to the style we want to give to our brand. We hope you love them as much as we do! Composition: 95% cotton and 5% elastane (lycra).